How big are the Ngaanyatjarra Lands? The Lands are 159,948 square kilometres in size (compare to the size of England, 130,439 square kilometres). 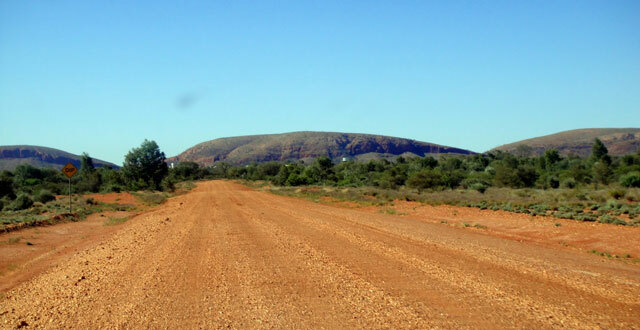 While travelling along the Great Central Road from approximately 130 kms east of the Tjukayirla Roadhouse right through to the Northern Territory border, you are in the Ngaanyatjarra Lands and you are subject to the by-laws. How long will it take me to travel through the Ngaanyatjarra Lands? That is dependent on a number of factors including road conditions and your luck with your tyres. 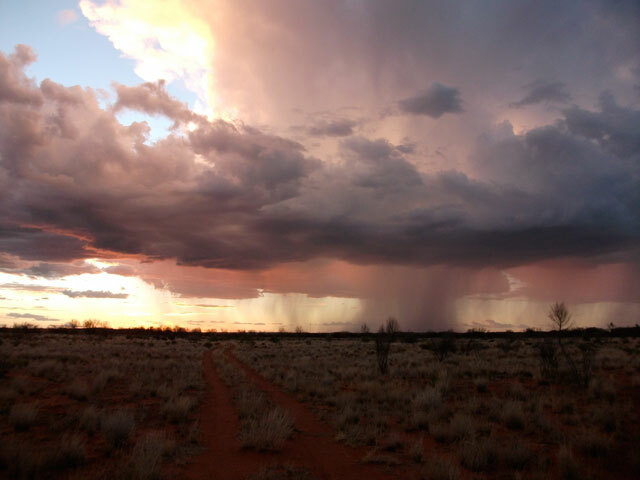 Warakurna is located 781km west of Alice Springs and 331km from Yulara (Ayers Rock) and 811km east of Laverton and 1163km west of Kalgoorlie. Warakurna is located relatively close the NT/ Ngaanyatjarra Lands Border and is a comfortable drive from Yulara. Many visitors chose to spend a leisurely morning at Yulara, visiting Uluru and the Olgas then driving to spend the night at Warakurna before setting off on the famous Gun Barrel Highway. Is Petrol available at WarakurnaRoadhouse? Standard Unleaded Fuel is not available anywhere on the Great Central Road between Laverton (WA) and Yulara (NT). BP has developed an alternative low-aromatic fuel called Opal Fuel, which is readily available at all Roadhouses. 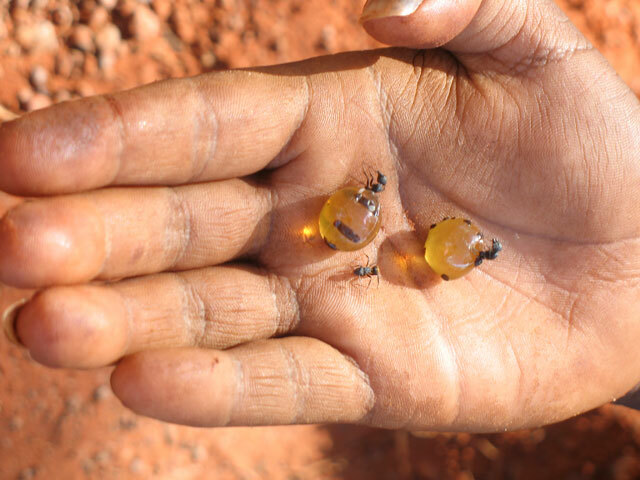 Opal Fuel was developed to combat the rising use of petrol as an inhalant in remote indigenous communities, it contains less aromatics or solvents, which are what produces the 'high' when sniffed. If you are bringing through extra quantities of unleaded petrol, we ask that you give it to roadhouse staff to store during your stay. Diesel Fuel is widely available throughout the lands. What is the price of Diesel / Fuel? For our current prices view our Home Page. The Great Central Road is unsealed. 4WD recommended. Changing weather conditions & traffic volumes can adversely affect road surfaces, please drive carefully at all times. For up-to-date information on the current state of our section of the Great Central Road, and current rainfall, view our Home Page. Honey ants - bush candy. - All visitors travelling the Great Central Roads require a visiting permit and are advised to respect the Ngaanyatjarra Council by-laws. - As a general rule Aboriginal people do not like their photographs taken, unless given permission to do so by the individuals. - Bury all camp fires and dispose of your rubbish at one the three roadhouses on the Great Central Road. - Always carry extra water, fuel and spare tyres. Mechanical assistance is not always available. Is Alcohol permitted at Warakurna Roadhouse? Is there an Aboriginal Community at Warakurna? Warakurna is located at the western end of the majestic Rawlinson Ranges. Warakurna is located at the end (or beginning) of the famous Gunbarrell Highway which was created by Len Beadell as part of his role with the Weapons Research Establishment. The Gunbarrell Highway enabled the establishment of the Giles Weather Station, now one of the most remote manned weather stations in Australia. By 1976, the Warakurna Community was incorporated and quickly grew to the second largest community on the lands (currently Kiwirrkurra is the second largest community). Warakurna is home to Warakurna Artists, which in the last five years has become one of the most notable and highly sought after art groups on the lands. For our current open hours view our Home Page. NOTE that the Ngaanyatjarra Lands crosses three time zones, Central Standard Time (GMT + 9:30), Central Standard Time (Daylight Savings) (GMT + 10:30) and Western Standard Time (GMT + 8) Daylight saving runs in New South Wales, the Australian Capital Territory, Victoria and South Australia from the end of October through to the end of March. Warakurna Roadhouse operates on Standard (non-daylight savings) Central Time. Yes. If fuel is required outside of trading hours the fee of $20 will apply per vehicle. Yes, water is available for purchase during open hours. Yes, EFTPOS is Available in the store; however we are not able to offer a cash out facility. Is there artwork or souvenirs available to purchase? Yes. Warakurna Roadhouse is home to the recently completed Yurliya Gallery which exclusively features a range of artworks from Warakurna Artists. The word Yurliya is the name given by Ngaanyatjarra people for the spectacular Rawlinson Ranges and is a fitting name for the new gallery that is an oasis of culture and refinement in the middle of the desert. The gallery offers visitors a unique cultural and artistic experience. The gallery offers paintings, hand woven baskets, sculpture and wooden artefacts for sale. Is there mobile phone reception at Warakurna? Mobile reception is coming to Warakurna later in 2013. Is there internet available at the Roadhouse? (Reproduced from the pamphlet "Opal Fuel & Petrol Sniffing") Opal Fuel is a variety of low-aromatic petrol developed in 2005 by BP Australia to combat the rising use of petrol as an inhalant in remote indigenous communities. With Opal fuel, you will receive equivalent performance with your car compared to regular unleaded petrol. The fuel economy variation between a vehicle running on Opal compared to regular unleaded is no less than 0.3 litres per 100km but this can vary depending on vehicle maintenance and driving style. Opal fuel is less harmful to the environment because it has practically no sulphur, benzene or aromatics. Police have been working with the government and local communities to reduce the amount of 'normal' unleaded fuel that comes into remote communities. We have had great success by ensuring that the only petrol that can be bought in the Ngaanyatjarra Lands is Opal. If you are travelling with normal unleaded petrol in the tank or you are carrying jerry cans which have unleaded petrol in them, we ask that you take great care to ensure that the petrol is not accessible whilst you are in the Lands. We especially ask you to make sure that any jerry cans of unleaded are kept extremely secure. Roadhouse staff would be pleased to arrange safe storage of your unleaded fuel while you are staying at the roadhouse. More about Alcohol in Ngaanyatjarra Lands. The Ngaanyatjarra Council (Aboriginal Corporation) By-Laws, which apply to the whole of the Ngaanyatjarra Lands, prohibit the possession and consumption of alcohol on the Lands. The by-laws allow you to convey any alcohol that you have with you through the Lands, but you cannot consume it. Penalties for breaching the by-laws apply and fines up of to $5,000.00 can be imposed. In addition, any breach of the local by-laws will cause your permit to enter and remain on the Lands to be reviewed. Please enjoy your time on the Lands.